Trinket's got a big sister in town - the Pro Trinket 5V! A bootloader is a tiny piece of software residing on the microcontroller that that helps load your own code into the remaining space. 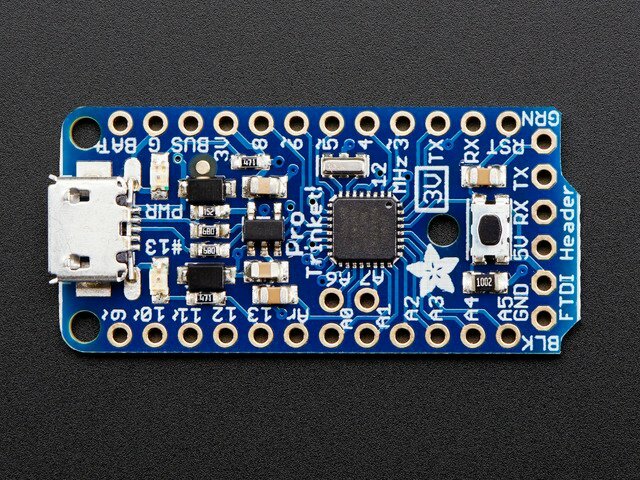 One of the challenges with the Pro Trinket is that we wanted to have a built-in USB bootloader, but the ATmega328 doesn't have built-in USB hardware! So instead, Frank (our awesome engineer with mad USB chops) created a USB bootloader that combines the elegance of V-USB with the well-supported and tested nature of the USBtinyISP. This bootloader looks just like a USBtinyISP - and since it uses the unique Adafruit VID/PID we own and that we added to avrdude so long ago, it works with only very minimal configuraton tweaks. No need to recompile anything, whew! Then, since we had a little space left in the bootloader area of the chip, we added Optiboot support. 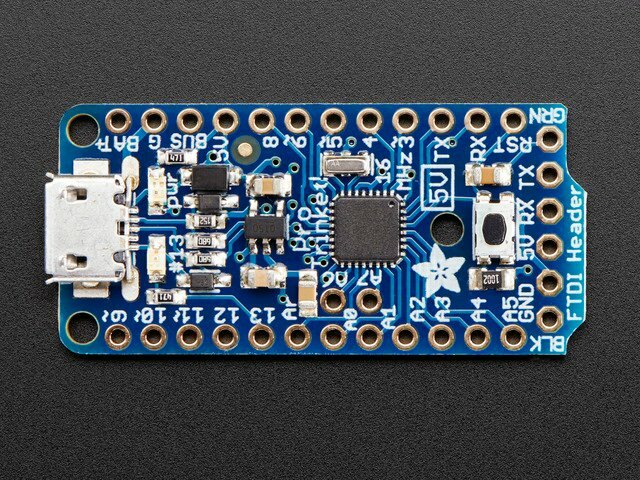 You can use either the USB connector or an FTDI cable so that it acts just like an Arduino Uno for programming, for max flexibility. Drivers are only required for Windows, if you are using a Mac or Linux, drivers are not required! Linux is fairly picky about who can poke and prod at the USB port. You can always run avrdude or Arduino IDE as root, which will make sure you have the proper permissions. If you want to be super-cool you can add a udev rule which will let any user (who is not root) connect to the USBtiny driver. That way you don't have to be root all the time! 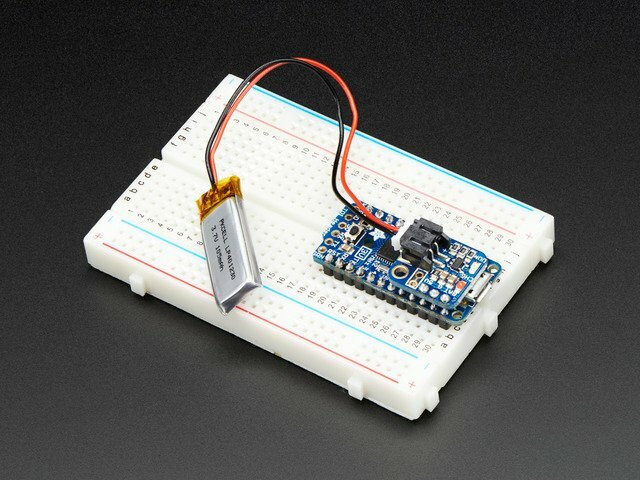 Check http://learn.adafruit.com/usbtinyisp/avrdude#for-linux for what to add to your udev file. 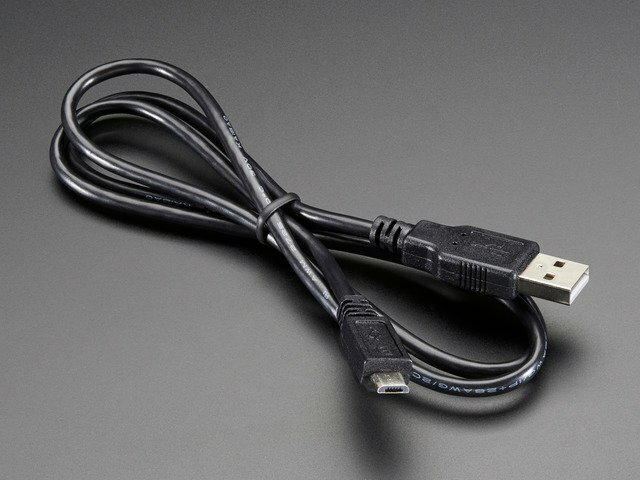 The Pro Trinket must be connected to a computer via a USB cable to enter bootloader mode. You can enter the bootloader mode by pressing the little button on the board with your fingernail. The bootloader will 'time out' after 10 seconds, so to re-enter the bootloader mode just re-press the button! Don't press-and-hold the reset button, be sure to press-and-release! This guide was first published on Aug 20, 2014. It was last updated on Aug 20, 2014. This page (Using the USB Bootloader) was last updated on Apr 19, 2019. Learn how to create Garnet's fusion from Ruby and Sapphire using Circuit Playground Express! Touch colored buttons to change the colors on your NeoPixel strips! Build a one eyed, one horned, flying purple people eater!